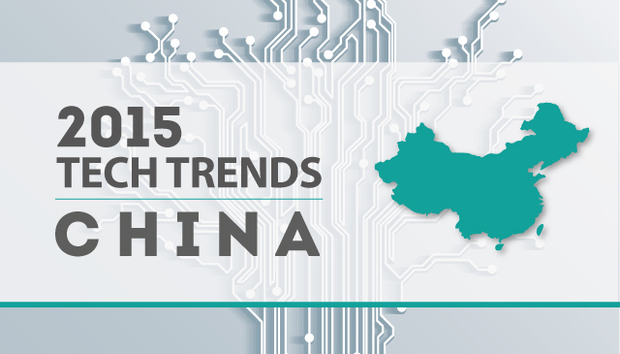 China's Tech Prospects: Will the Dragon Roar in 2015? Well, that was pretty exciting. The past 12 months have been nothing short of momentous for China as it continued to reclaim its ‘rightful’ place at the centre of the world. We saw the country’s tech giants increasingly flex their muscles on the global stage, while Beijing felt confident enough to do its own bit by cracking down on foreign technology firms operating in China. Whether 2014 was the new norm or an aberration depends to a large extent on what happens next year. So what’s the smart money on? When it comes to China’s tech behemoths like Lenovo, Huawei and even Xiaomi, the genie is very much out of the bottle if you’re a foreign rival. Lenovo’s acquisition of Motorola when it closes will push it into the global top three smartphone makers, while Xiaomi is already entering markets like India, Brazil and Russia and recently sought funding which would value it at a staggering $50bn. Huawei has been quiet by comparison, probably because it is already well-established in foreign markets, except perhaps the US. In terms of online services, Chinese players will be quieter on the western stage, with the notable exception of Tencent’s WeChat, which continues to push into new markets, and Alibaba. While it sees its home-grown heroes take on all-comers abroad, the Communist Party of China has been doing its bit to make life uncomfortable for US and foreign players in its domestic market. Qualcomm is likely to be hit with an unprecedented antitrust fine of up to $2bn next year, while there’ll be sticky palms at Redmond in anticipation of what investigators might ‘turn up’ at Microsoft China. As predicted by IDG Connect earlier this year, LinkedIn has also had a hard time of it, although less from Beijing, which allows its new Chinese-language version to run virtually without interference, but from critics outside the country. They complain the firm has sold out by adhering to the Party’s strict censorship requirements. Things will only get tougher for it in the Middle Kingdom next year, according to Charlie Smith of anti-censorship organisation Greatfire.org. It has at least escaped the attention of the Great Firewall until now, unlike Google, Yahoo and most recently Apple, which all experienced large-scale Man in the Middle (MITM) attacks by the authorities. It’s likely increasing numbers of services will be affected in 2015 as the authorities struggle to find a way of monitoring HTTPS sites, according to Percy Alpha of Greatfire. Washington’s patience with cyber-espionage incursions finally expired in 2014 as it indicted five PLA operatives for hacking US firms for economic gain. Beijing continues to deny all involvement so 2015 will unlikely see a change of course. Most recently, FireEye even discovered close links between possibly state-backed APT activity and recent DDoS attacks against pro-democracy websites in Hong Kong. The demonstrators in the former colony have also been hit with information stealing Trojans. There’s a very real chance that if the protests continue well into 2015, the SAR and its aspirations to be the pre-eminent tech hub of Asia could be in danger of turning to dust. “HSBC Asia Pacific CEO Peter Wong Tung-shun said both the retail industry and investment industry have been affected by the unrest and some investors who were originally planning to invest in Hong Kong are now sitting back and taking a ‘wait and see’ approach,” Hong Kong-based Gartner analyst Terick Chiu told me. However, the jobs market for IT professionals should remain buoyant in the SAR, according to James Leung, manager at recruiter Michael Page Hong Kong. “Due to the ties to Greater China, Mandarin language skills are sometimes preferred but there are still plenty of opportunities on the market for expat IT professionals here in Hong Kong,” he told me.